Capt. Chris has been fishing since he was a kid at the Jersey Shore on head boats, dive boats, private charter boats. 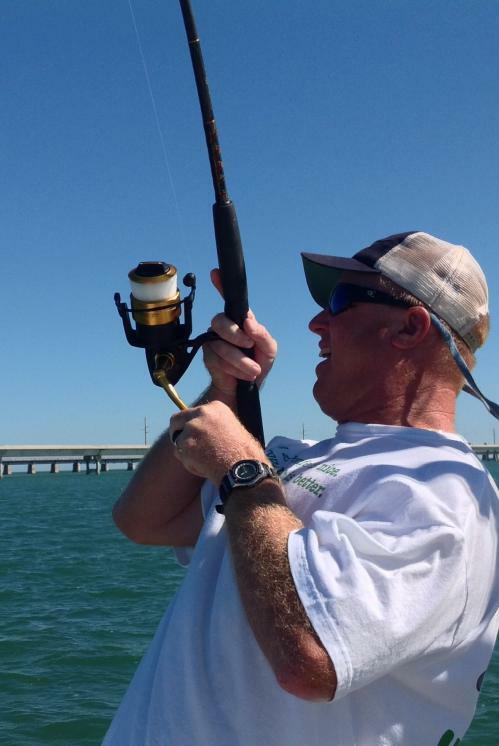 He moved to the Florida Keys in 2005 with his wife, Christy, and started SeaSquared Charters. His SeaSquared Charters was established in 2006 and is owned and operated by Capt. Chris Johnson and his wife, Christy. Capt. 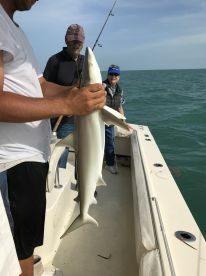 Chris Johnson has over thirty years of fishing experience, first at the Jersey Shore and then ten years in the Florida Keys. Offshore fishing for dolphin, tuna, wahoo. 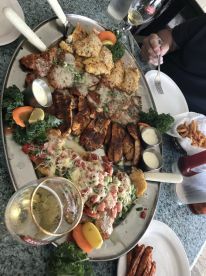 Reef/Wreck or Gulf/Bay fishing for grouper, cobia, permit, snapper, mackerel, kingfish, amberjack. Sailfish. Sharks. Tarpon. Lobster Snorkeling. Families. Groups. Light tackle, live bait fishing. Awesome day on the water. Experienced some really special fishing with Alex and Steve aboard the Blue Magic. Wow! Double and Triple headers all day long. We caught about 90 fish! It was a windy day but that did not matter at all. Highly recommended. They will work very hard to put you on fish. If the fish are biting you’ll be catching on the Blue Magic. Just remember it is “fishing” not catching, because aboard the Blue Magic one may forget that it’s fishing. My son and I met Captain Jason a little before 8AM and quickly headed out to fish. On our first stop, we were catching yellowtail and blue runners within ten minutes. Jason took us to some other favorite spots and we also caught three mutton snapper, small sharks and had a few unknown fish break away. We also had a representative of Florida Wildlife Conversation on-board who documented our catches. 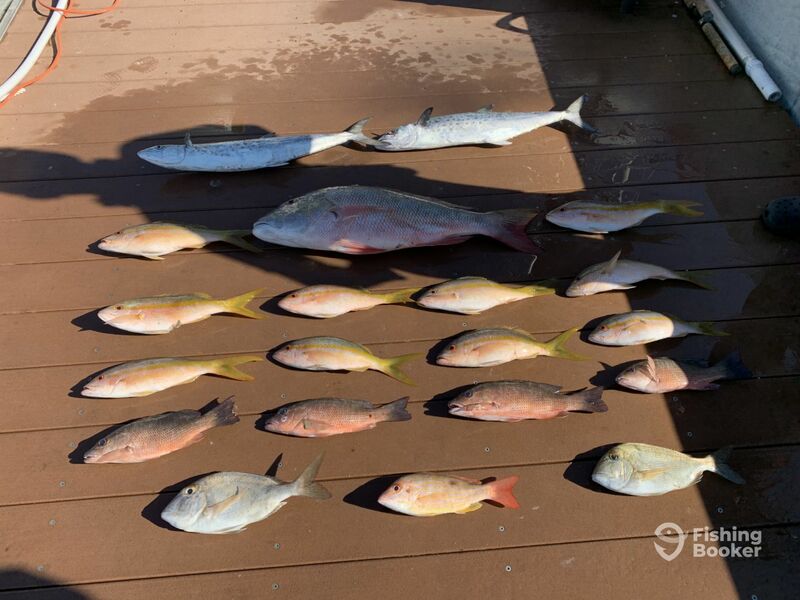 In total, we caught nearly 50 fish during the full-day trip. It was hands down the best fishing experience we’ve had. Jason was knowledgeable and worked very hard to keep us on fish. I highly recommend SeaSquared Charters and Captain Jason. Thanks for the great review, Scott! We’re glad you had fun and look forward to seeing you again. 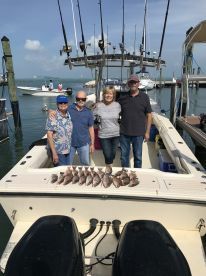 Our family of six adults had two great days with Capt Wayne and his first mate, Ricky. They were very helpful with a couple of the passengers who were inexperienced. They were very patient and kind and made the trip fun and enjoyable for all. Would highly recommend this charter with Wayne’s World. We had enough yellow snapper for four meals. Once in a lifetime experience (we will come back for another)!!!! Awesome boat, fish on the lines nearly every cast! Caught so many varieties Snapper, Grouper and a SHARK!!! Captain Alex knows his fishing and first mate Steve was so helpful and knowledgeable. Awesome music and full cooler too! We will be coming back for years to come . Thanks for an unforgettable time!! !